why didn’t i ask? why didn’t i ask? 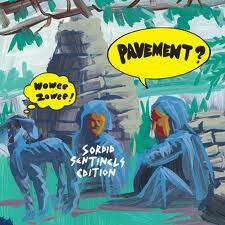 In December of 2008, the hipster music site Pitchfork reviewed a reissue of Pavement’s Brighten the Corners. “For a band that often seemed be on the verge of a commercial breakthrough, Pavement made all the right moves– they just did them in the wrong order,” Stuart Berman observed, reflecting on the oddity of Pavement’s career arc. For Berman and many others, Brighten the Corners should have been the follow up to their “indie hit” Crooked Rain, Crooked Rain. 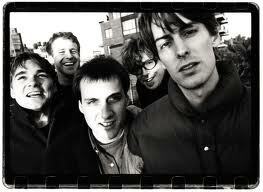 Instead, Pavement followed their 1994 breakout with Wowee Zowee, which Berman described as “slapdash … an album beloved by the band’s diehard fans, but one that effectively squandered any crossover potential Crooked Rain might have built up.” Undoubtedly, Wowee Zowee failed to expand their base, but on the other hand the album features several classic songs, such as “Grounded,” “We Dance,” and the above “Kennel District.” Whatever one’s opinion of Pavement or Wowee Zowee, the excitement over their reunion tour this summer remains palpable. Prev Deciphering 21st Century Celluloid Domesticity: The Nuclear Family in "The Kids Are All Right"